SOLD: Beau Geste is from 2nd owner, only used privately and has not been raced. Regatta version with three spreader mast, rod rigging and 2.40m lead fin keel. Larger Volvo Penta 40 hp diesel engine mounted than standard (29 hp). 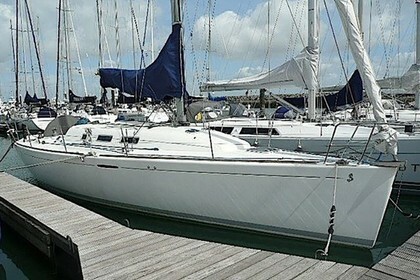 She comes with brand new mainsail, gennaker and spinnaker 2011. Ideal yacht for both cruising and racing.